How to create an Excel file in ASP.NET Web Forms? 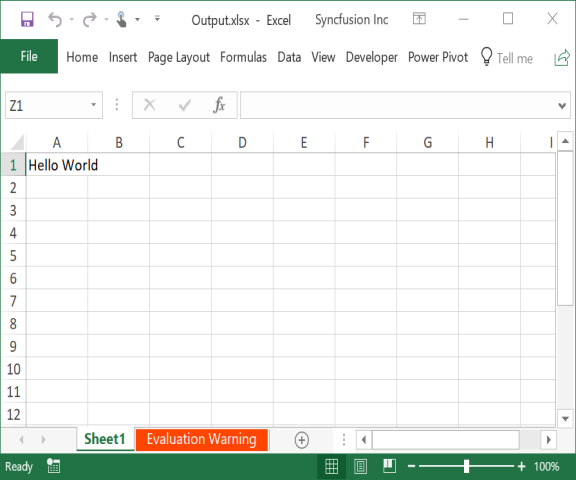 Syncfusion Essential XlsIO is a .NET Excel library used to create, read, and edit Excel documents. Using this library, you can create an Excel document in ASP.NET Web Forms. 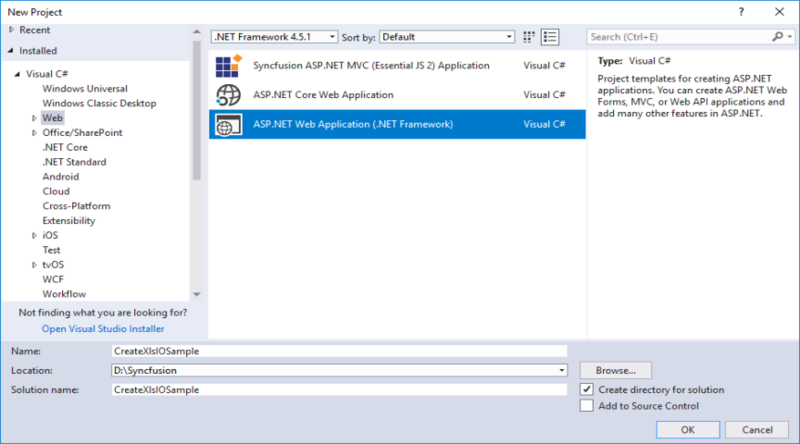 Create a new ASP.NET Web application project. 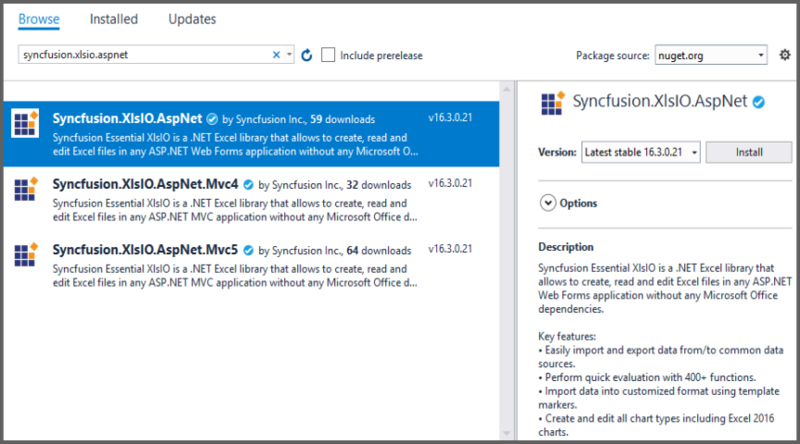 Install the Syncfusion.XlsIO.AspNet NuGet package as reference to your .NET Framework application from NuGet.org. Add a new Web Form in ASP .NET project. Right click on the project and select Add > New Item and add a Web Form from the list. Name it as MainPage. Add a new button in the MainPage.aspx as shown below. Include the following namespace in your MainPage.aspx.cs file. Include the below code snippet in the click event of the button in MainPage.aspx.cs, to create an Excel file and download it. By executing the program, you will get the Excel file as follows. Take a moment to peruse the documentation, where you can find basic worksheet data manipulation options along with features like Conditional Formatting, worksheet calculations through Formulas, adding Charts in worksheet or workbook, organizing and analyzing data through Tables and Pivot Tables, appending multiple records to worksheet using Template Markers, and most importantly PDF and Image conversions with code examples. Refer here to explore the rich set of Syncfusion Essential XlsIO features. An online sample link to generate Excel file. Starting with v16.2.0.x, if you reference Syncfusion assemblies from trial setup or from the NuGet feed, include a license key in your projects. Refer to link to learn about generating and registering Syncfusion license key in your application to use the components without trail message.